United Kitchens of India at Jubilee Hills, Hyderabad has made quite a name for itself for its diverse cuisine. 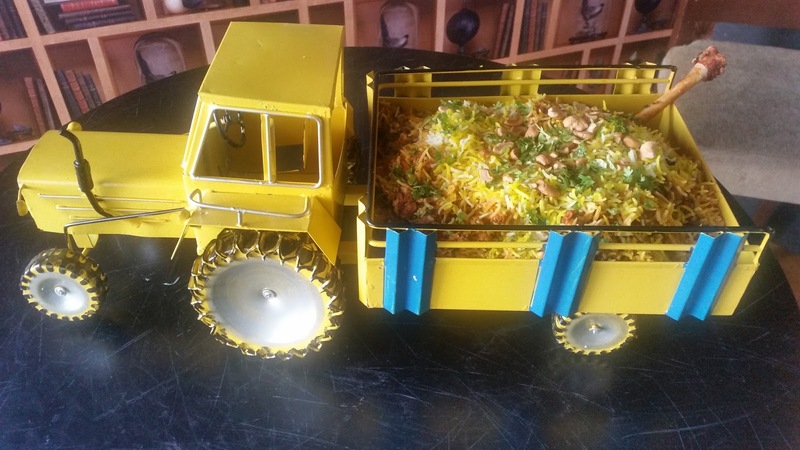 The place offers delicacies from six states of India including Bengal, Punjab, and Rajasthan. Recently UKI had organized a Bengali food festival which was a super success. 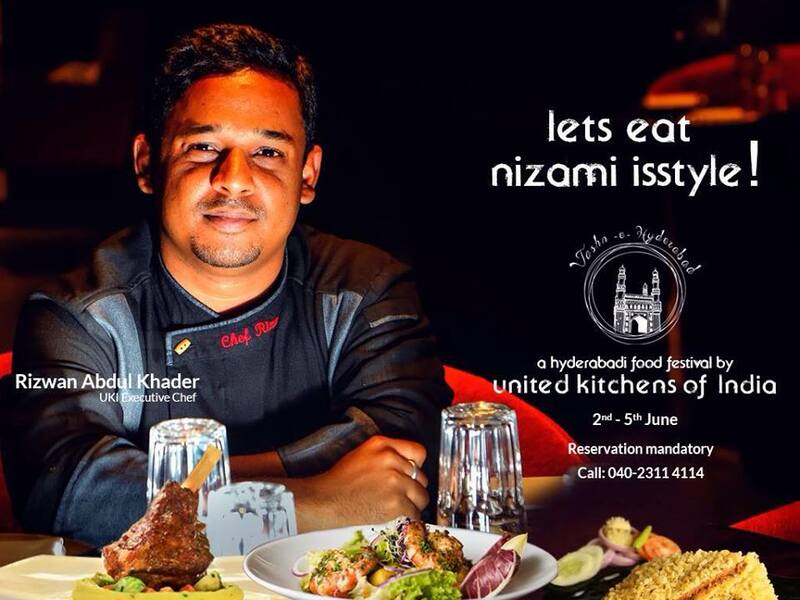 Now, the restaurant is hosting “Jashn-E-Hyderabad”, a special promotion of Hyderabadi cuisine. A special menu has been curated for the festival by Executive Chef Rizwan Abdul Khader. During my numerous interactions with him during the last year or so, I have developed a very high respect for this young chef, not just because of the great food he serves, but also due to the deep knowledge that he has about Indian cuisine. In the festival menu, it was nice to find Marag, the signature mutton based Hyderabadi light broth which is usually served in weddings. 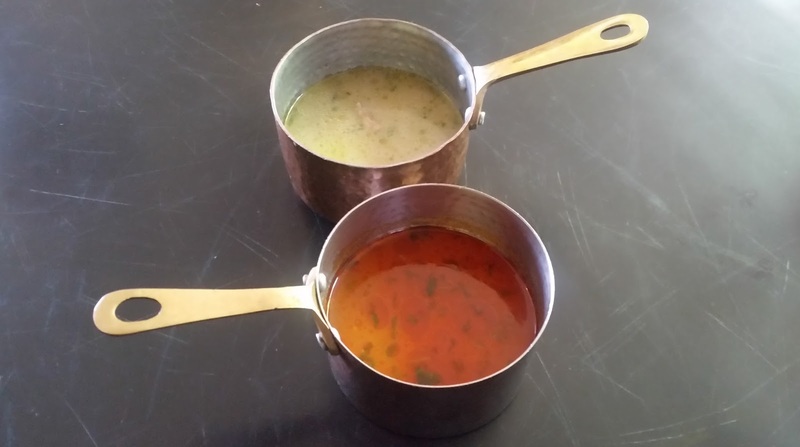 Tamatar Dhaniya Shorba was the other soup served at the festival preview lunch. For the festival, starters are going to be served on the table whereas main courses will be part of a buffet. Among the vegetarian delights, my favourite was Arbi Bhooney, or colocasia flattened and fried in a batter, to deliver a crunchy end product. Tawa Paneer was spicy with a lot of lal mirch, whereas Subz Shami Kabab was soft and solid. For a Bengali like me, it was but natural that the non-vegetarian starters were much more on my radar. 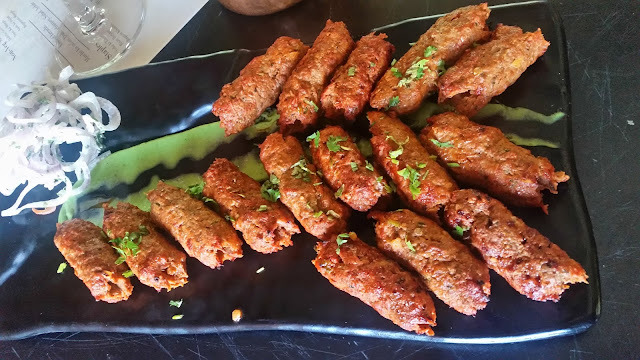 The Seekh Kabab was soft and succulent, and the masala in the mutton mince was flavourful but not overwhelming. 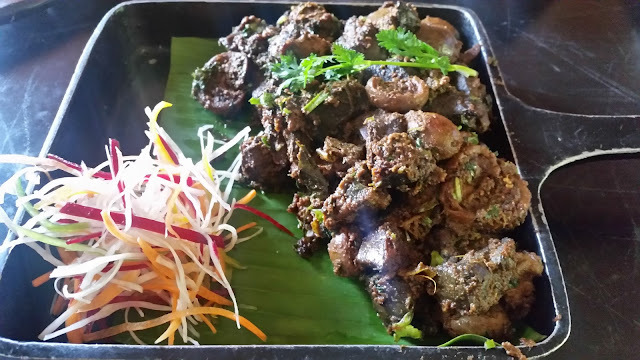 Gurda Kaleji, or lamb kidney and liver, one of the favourite dishes for a Hyderabadi breakfast was extremely well prepared too. Tawa Kali Mirch Murgh was peppery and nice. 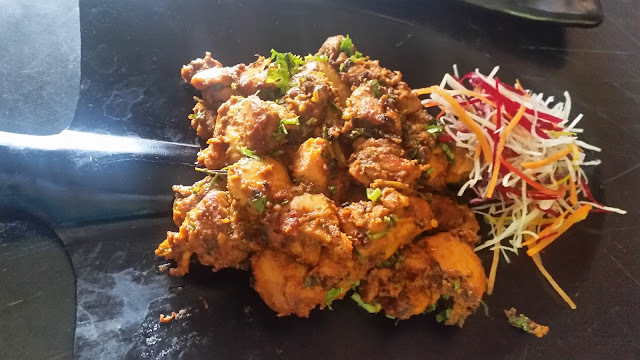 Tala Hua Murgh was the other dish on the menu – somehow I am biased to the mutton version of the preparation and did not dig this preparation much. Others dining with me were praising the dish, though. If you need one good reason to visit this festival, it is the quality of the main courses. 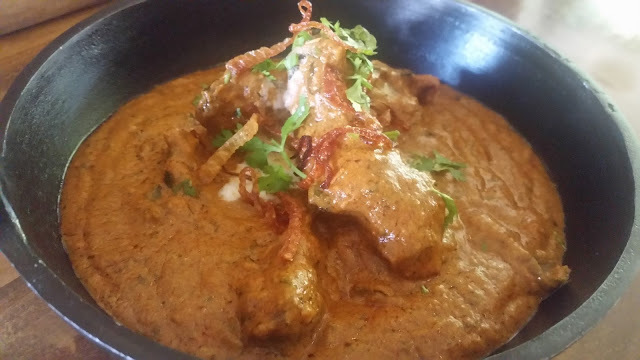 The Hyderabadi combo of Dalcha Gosht with Bagara Khana was one of the better ones I had so far. The Raan Biryani tasted quite different from the usually biryanis of Irani Cafes and the spice combo here stood out. The Dum Ka Murgh and Ande Ka Salan were also well handled with the Bagara rice. 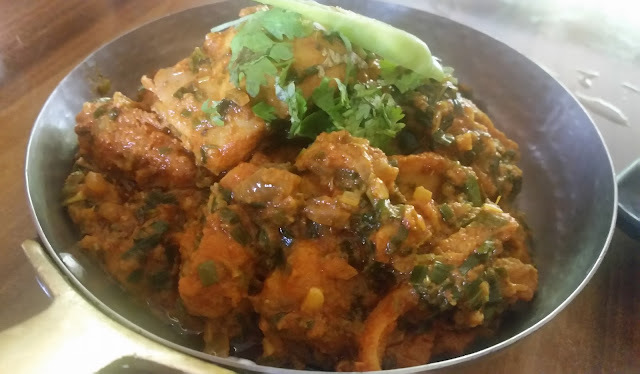 Begumati Murgh was another dish in the main menu. For vegetarians, Khatti Dal, Bagara Baigan and Subz Bahar were the dishes served. 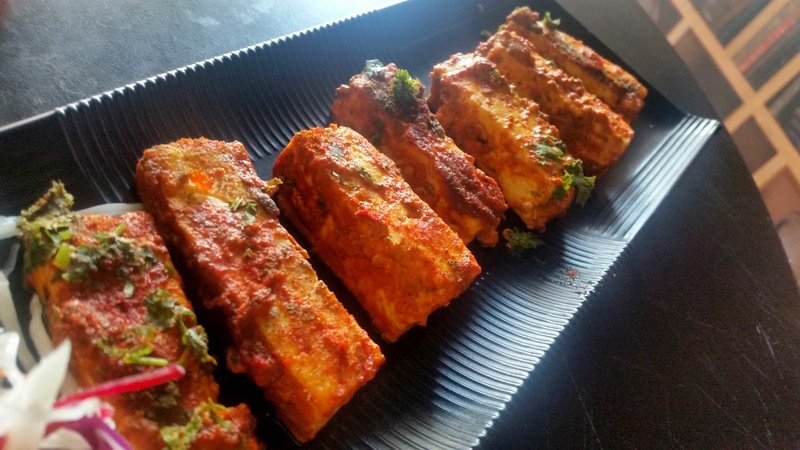 A vegetarian version of Hyderabadi Tahari was also on the menu. There were three choices for desserts – all the Hyderabadi signature dishes Qubani Ka Meetha, Double Ka Meetha and Sheer Korma were on the menu. 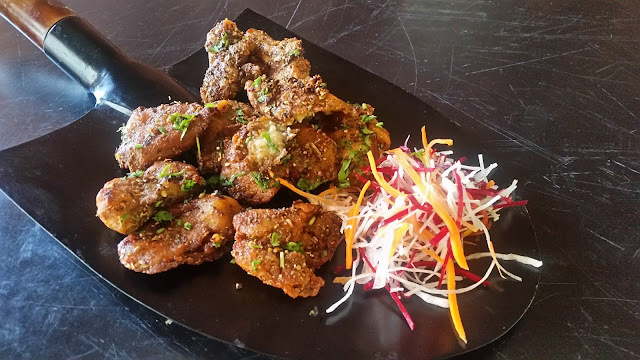 The set menu comes at a very attractive price of Rs 749 all-inclusive and has about half a dozen starters and main courses each apart from soup and dessert. The promotion is on from 2nd to 5th June. I cannot talk about the vegetarian stuff much because I did not try a few of the dishes. But, for non-vegetarians who love spicy Hyderabadi food, this is a deal not to be missed. Advance booking is mandatory.